The London Bullion Market Association Gold Price started 2016 at $1,072.70/oz, it settled on the morning of December 20 at $1,132.75/oz. The 2017 settlement high was $1,370/mt back in July. According to LBMA data, the morning price has averaged $1,157.26/oz during the month as of December 20, down from $1,340.86/oz in August. Now, that’s just the price. What about the actual business? Regardless of the price being high, or low, business conditions across the supply chain — bullion banks to refiners — remain torrid. And it looks set to get even more challenging in 2017. “I think next year will be a tough year; they are all tough years. Just getting tougher,” said one senior banker. Chatter is rife of more banks exiting the business. Regulation weighs heavily, and will continue to do so as the perceived threat of Net Stable Fund Ratios looms large; a tweak that will pile on increased financial burden to an industry already trying to adjust to shrinking margins and evaporating participation. “It’s the reason people want to get out of precious, there’s no money in it,” according to one dealer. Turn attention to physical business, and it’s been a rough year. A year to forget. For physical business the price is almost an irrelevance. If no one is buying, then there’s no business. If liquidity is shrinking then, again, there’s no business. Back to cash. Dough. It is king. India showed that this year when the government sideswiped the market by removing high denomination bank notes from circulation in a bid to attack the country’s “shadow economy.” There was a race for cash, for a small period for physical gold, but primarily the land grab for cash remains. Banks struggle to supply paper money, cash machines empty. Panic on the streets of Mumbai, Delhi, Ahmedabad. If gold is king, why is the price headed back to where it started the year? 2016 is the worst year in living memory for Indian gold demand; the only fillip was the removal of cash, and it was short-lived. Knee-jerk. Not sustainable. A country that relies solely on imports, averaging 900 mt per year, is looking at shipments of around 400-600 mt in 2016. And there’s little hope of improvement in 2017. 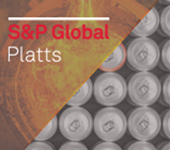 The S&P Global Platts India Gold assessment has averaged minus $17.4/oz in 2016, compared with minus $1.5/oz in 2015. The 2016 high saw a $10/oz premium, with the deepest discount assessed at minus $65/oz. The growth of electronic banking, changing spending habits by the young and government import taxes are slowly reducing gold demand in India, a panel of experts agreed back in October at the 2016 LBMA/LPPM Precious Metals conference. “India is changing fast,” Shekhar Bhandari, business head of Global Transaction Banking and Precious Metals at Kotak Mahindra Bank, said during a panel discussion. Flip back to H1, when the price jump as Exchange Traded Funds lapped up the metal that wasn’t flowing to India. That didn’t last. Earlier this month the US Federal Reserve made a modest 25 basis point increase to the core interest rate. Bullion took another trip lower, even though the decision had largely already been factored in. Now, let’s take a look at those “sticky” ETF holdings. “Gold ETFs recorded their 27th consecutive trading day of outflows December 19 (9.4 mt), which equaled the record losing streak from the spring of 2013. Since the outflows began November 10, holdings have been reduced by 214 mt, which is actually somewhat more than the total outflows in the spring of 2013,” Commerzbank said in a research note. So, there’s little ETF activity, nor physical business, so what next for gold in 2017? “Gold has clearly become much less attractive in this environment of rising yields, a stronger dollar and expectations of higher growth, increased spending and rising inflation. Much now depends on how the latest political developments affect economic growth, inflation/inflation expectations and, in turn, Fed policy and real rates. All in all, gold prices are at the mercy of risk appetite,” said Societe Generale analyst Robin Bhar. According to Butler’s data gold turnover on the Shanghai Gold Exchange has dropped 14% year-on-year. “Lacking meaningful physical demand, gold could drift lower in the next few weeks, testing the last redoubt of support at $1,125,” he added. China is the world’s number one physical gold consumer, followed by India. China’s central bank left gold reserves unchanged in November at 1,838 mt, for only the second time this year, instead using up almost $70 billion of foreign exchange to shore up its currency, data released by the People’s Bank of China showed in November. The central bank has added 80 mt of gold to its reserves in 2016. The country’s government added over 185 mt in 2015. For a happyish ending to this piece, let’s turn to lobby group the World Gold Council. “2016 sees gold finish the year up almost 10%, but it’s fair to say it’s been a bit of a roller-coaster. In July the gold price breached US$1,350, up almost 30% since the start of the year, rising at its fastest pace since 1980. There was an abrupt change in sentiment in November and the gold price fell. Having been widely expected to be price-supportive, President-elect Trump’s surprise victory heralded a sudden reversal in investor sentiment and a surge in risk-on appetite in financial markets,” Alistair Hewitt head of market intelligence at WGC said. One thing to look forward to in 2017 is the building battle of the three major exchanges — ICE, CME Group and the LME. All want to rule the roost in London, all launching separate futures contracts and products aimed at soaking up some of the over-the-counter trade that the city knows and loves. Still, with regulation stomping through the markets, the exchanges may just stand a chance of wrestling some of the OTC trade to their respective systems and offerings. Who gains supremacy is currently a hot topic. Although not all are convinced. “They [the exchanges] tried it back in 2007, and failed. I would put a wager on the same thing happening all over again. Why move to exchange when you trade quite happily OTC?” said one senior banker. Another banker said that the next couple of years should at least be somewhat “interesting” for the bullion business. The price, well that’s a separate thing all together. ScotiaBank concluded in a price outlook piece that, “there is much uncertainty looking into 2017, especially with regards as to what Donald Trump will carry out, how Brexit evolves and whether populism spreads further. The Canadian bank is forecasting spot gold to trade in a $975-$1,275/oz range in 2017. Here in Brazil we are apprehensive to wait for another cycle of appreciation of commodities. It would be one of our ways out of the crisis. Congratulations on the article.